Gail Pickering’s work in moving image, performance and installation explores the malleability of time and presence, reflecting on our fragmentary relationship to history and society. Pickering develops multi-layered montages from a range of sources which are variously staged and rewritten through mimicry, polyphony and voice, ultimately addressing how we encounter images through, and despite of, the medium of the screen. 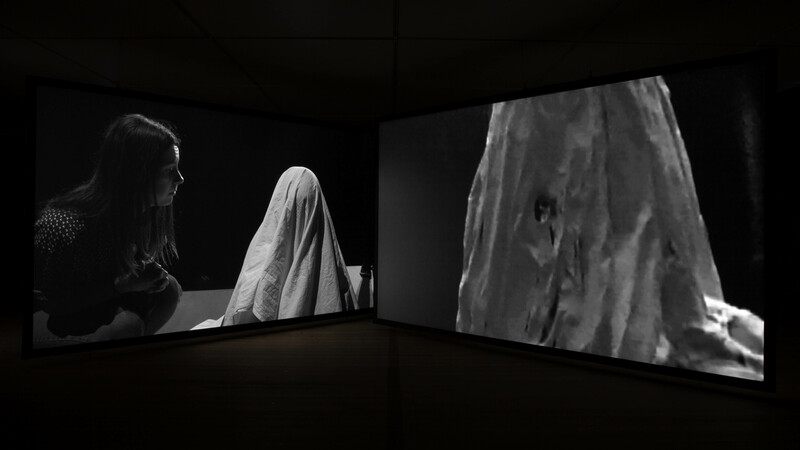 Pickering’s work has been shown widely including major solo exhibitions at BALTIC Centre for Contemporary Art, Gateshead, (2014-15) and Centre d’art Contemporain de la Ferme du Buisson, Paris, (2014), and was included in the 58th London Film Festival; Assembly A Survey of British Artists Film and Video, Tate Britain; the British Art Show 7, Hayward Gallery. Gail Pickering lives and works in London. For further information please visit gailpickering.com. Re-sight is a programme of public talks at Manchester Art Gallery discussing the commissioning, production and presentation of film and video within a visual arts context. Featuring renowned artists, academics and commissioners from across the UK, the programme will contextualise Mark Devereux Projects’ represented artist David Bethell’s own artistic research developing his skills within script writing and working with actors. As part of the project, David Bethell will undertake a month-long residency in Norfolk and receive tailored mentoring from artist Len Horsey, Producer Bren O’Callaghan and the Mark Devereux Projects team to support the creation of a new performative video work, which will be presented in early 2019. Re-sight is funded by Arts Council England, supported by Manchester Art Gallery and produced / curated by Mark Devereux Projects. David Bethell is represented by Mark Devereux Projects. Gail Pickering, Near Real Time, 2015. Three-channel video installation. © Gail Pickering 2015. Courtesy of the Artist and BALTIC.